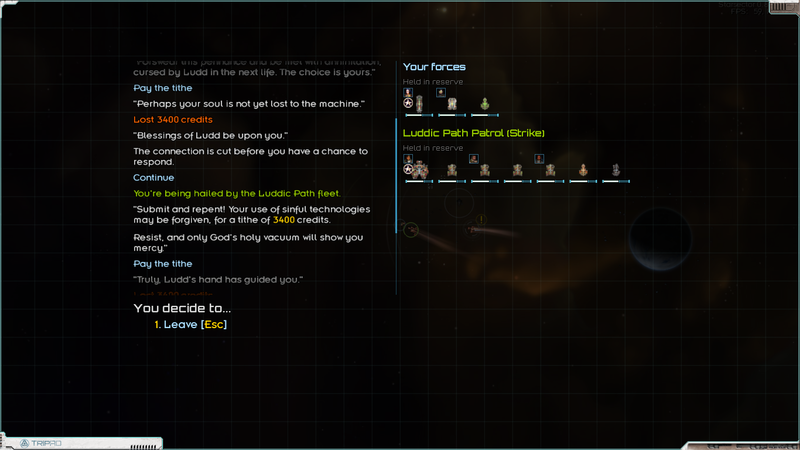 Luddic Path don't scan your cargo, but ask for tithes... Twice? 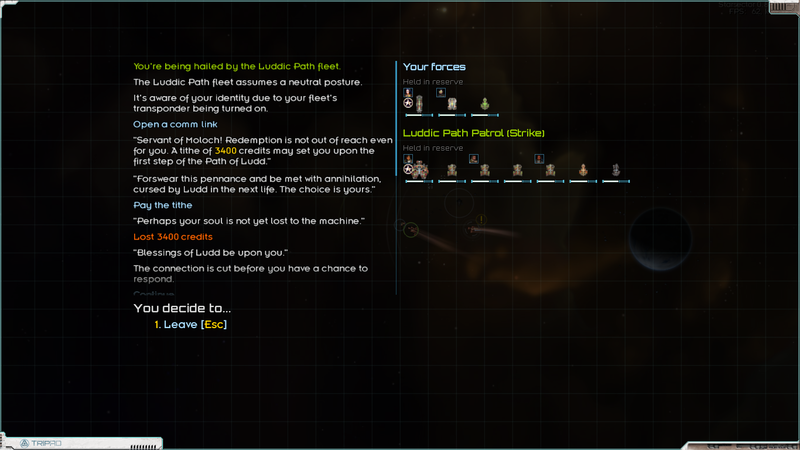 - Started a game as the Luddic Church (via Nexerelin, but pretty sure is unrelated), and as such I'm not hostile to the Luddic Path by default. - Bought some stuff on the black market. Suspicion level was at "medium"
I notice the two dialogue messages were different, so is that the Pather version of the cargo scan? But still, why did they ask for a tithe twice in a row? 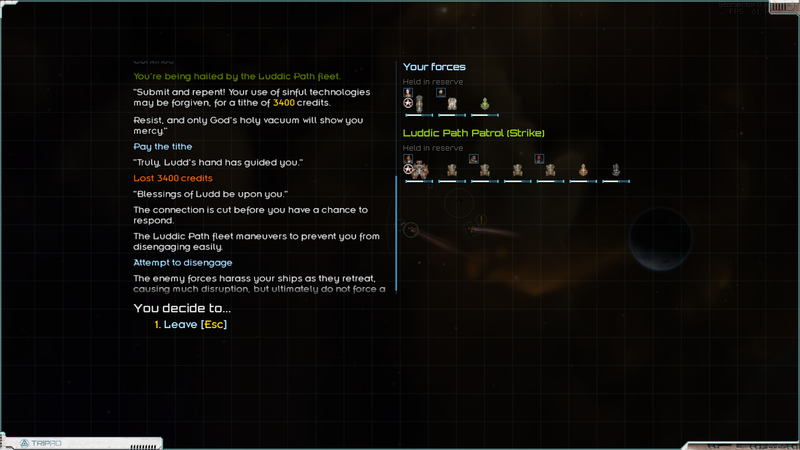 Re: Luddic Path don't scan your cargo, but ask for tithes... Twice? But still, why did they ask for a tithe twice in a row? An excess of zeal and/or greed? Hah, maybe. Still caught me off-guard, considering I was trying to test something completely unrelated at the time.